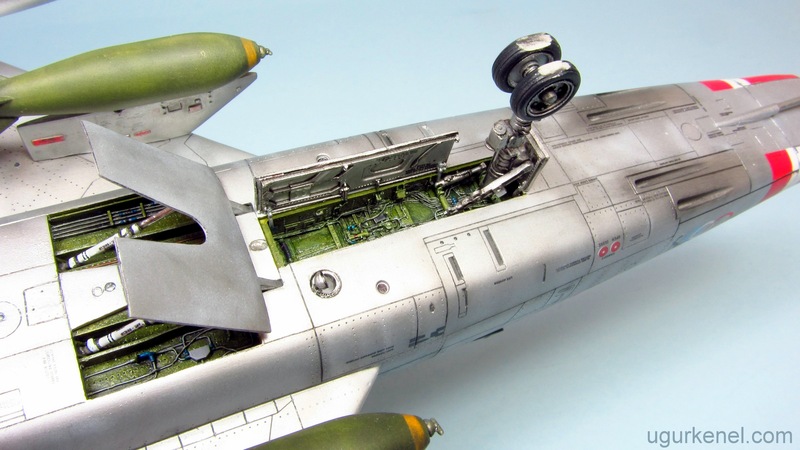 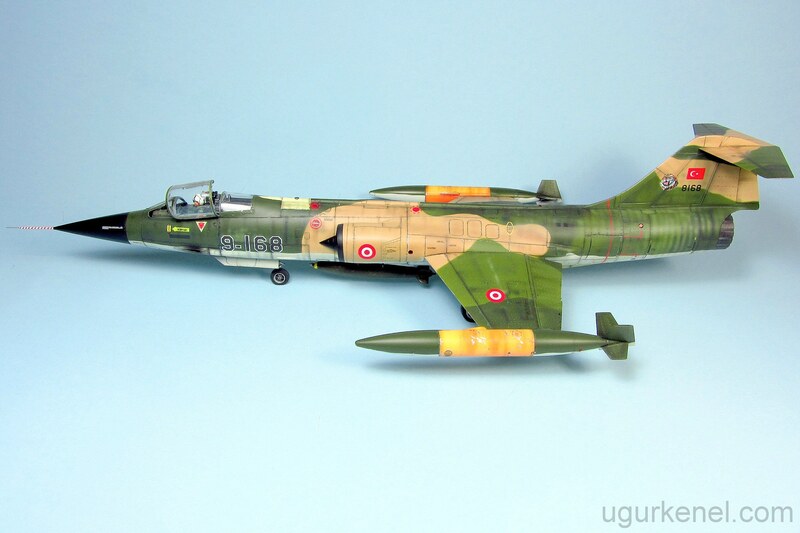 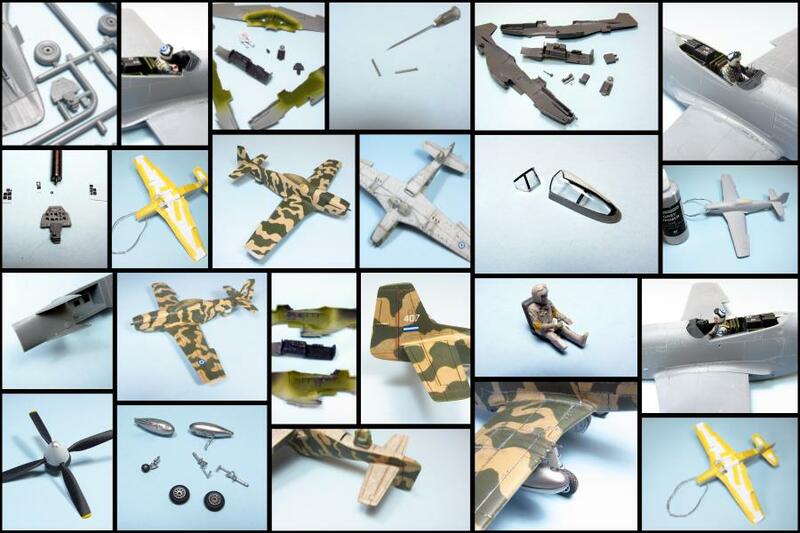 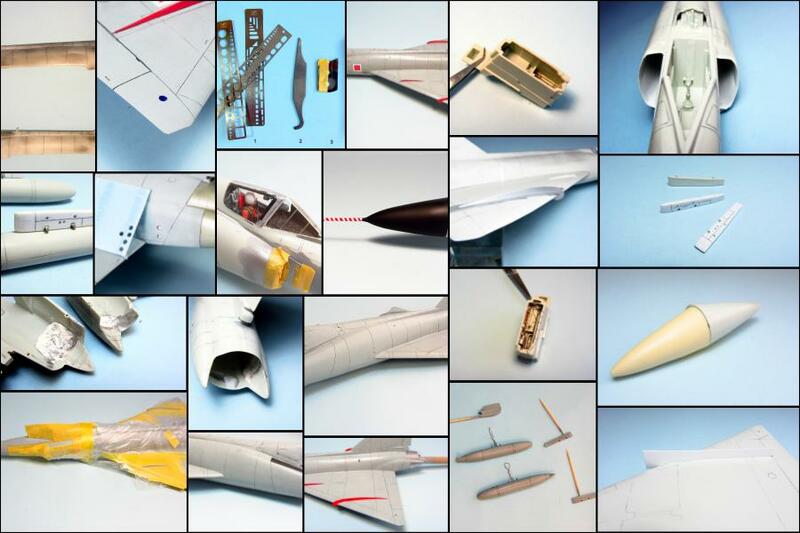 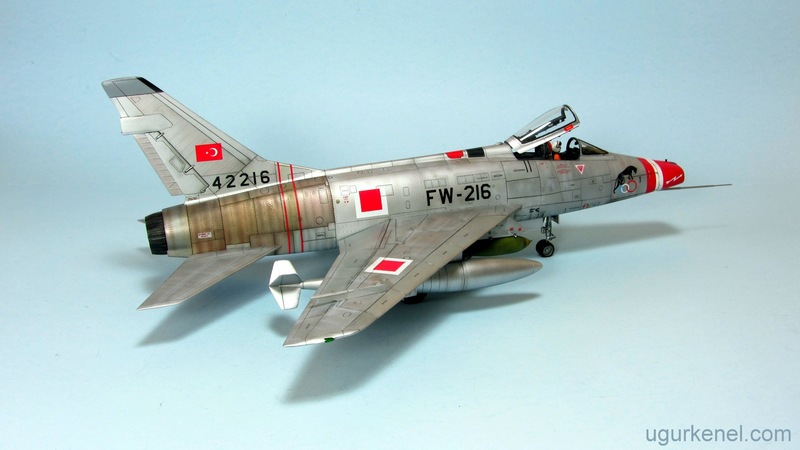 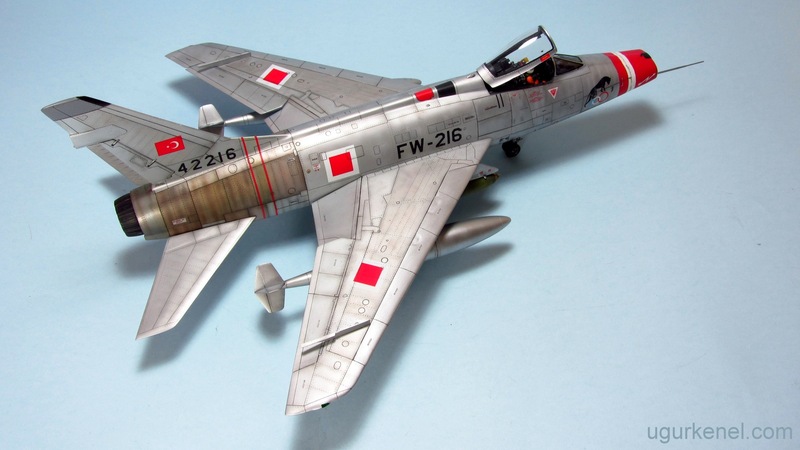 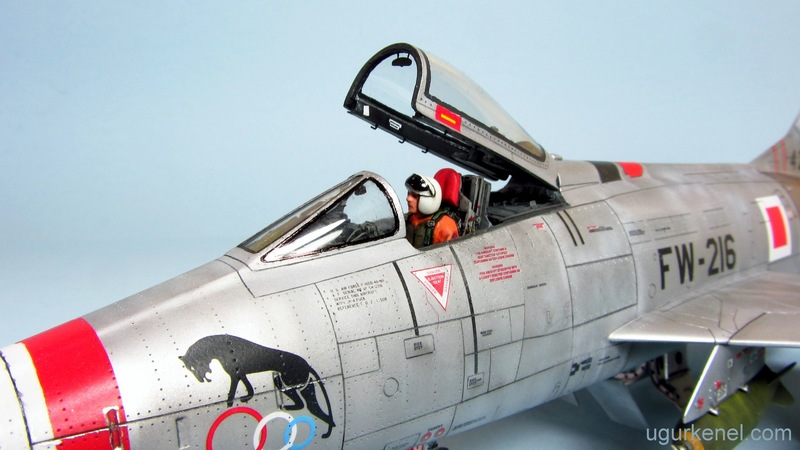 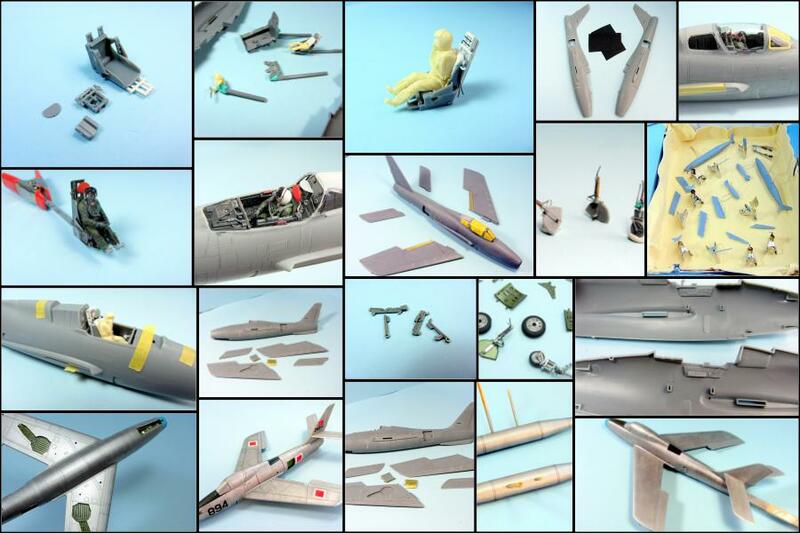 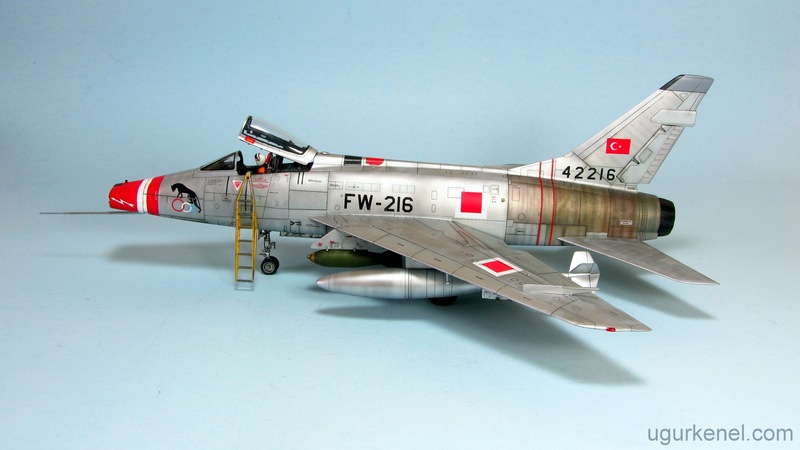 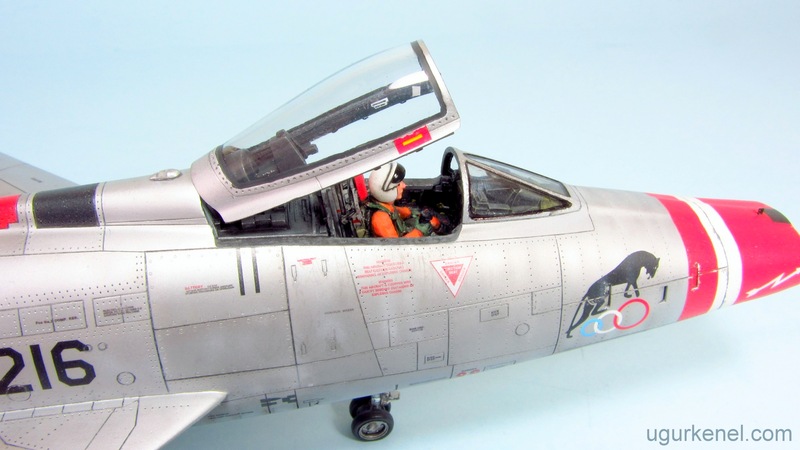 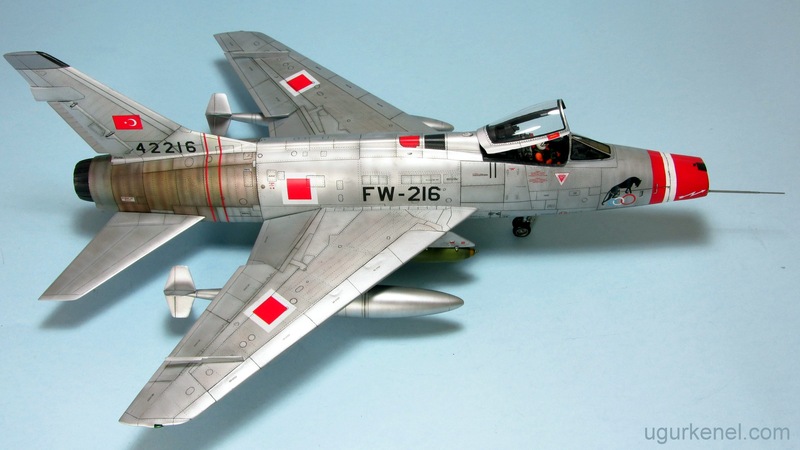 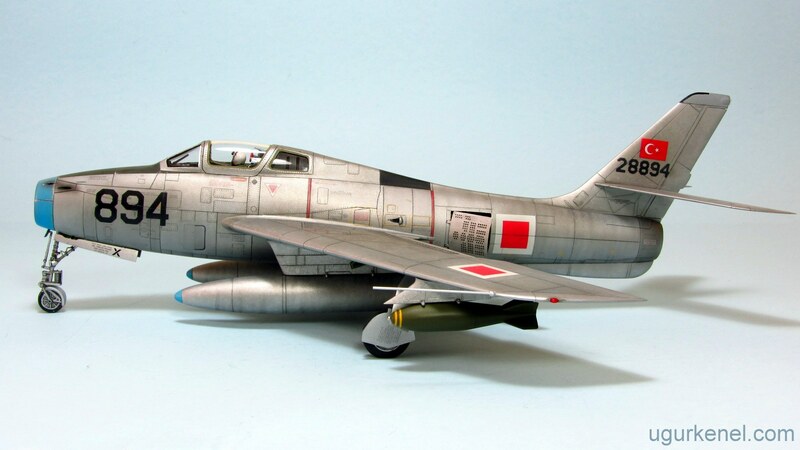 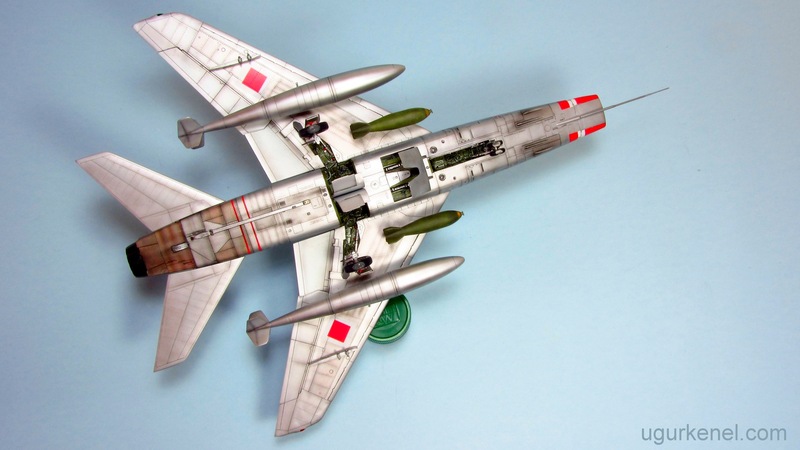 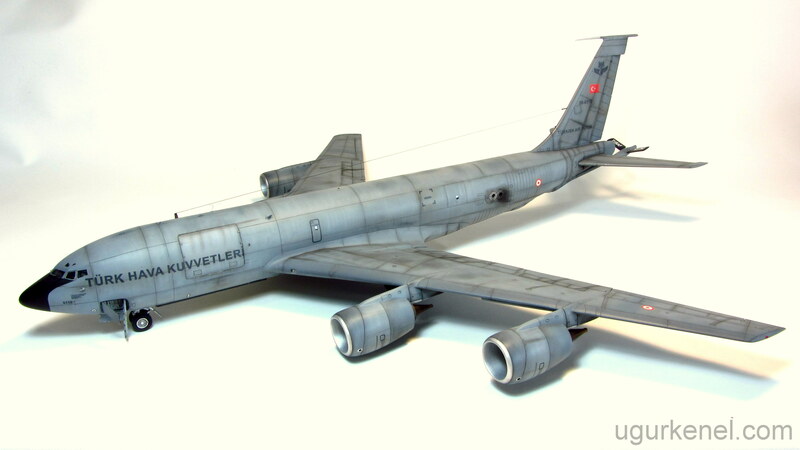 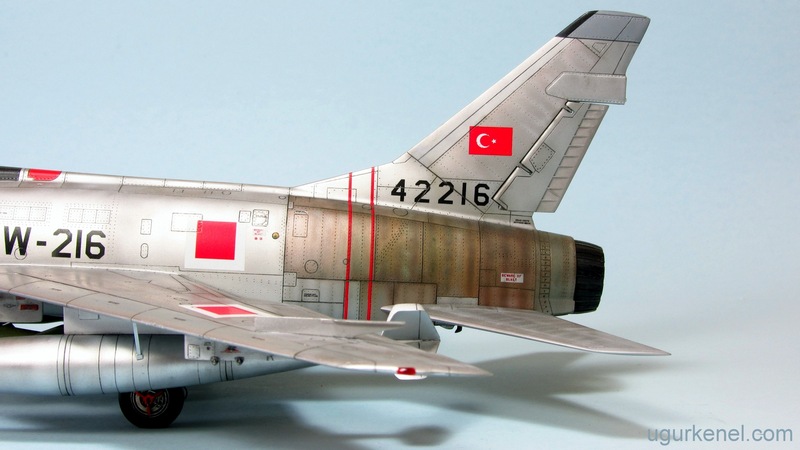 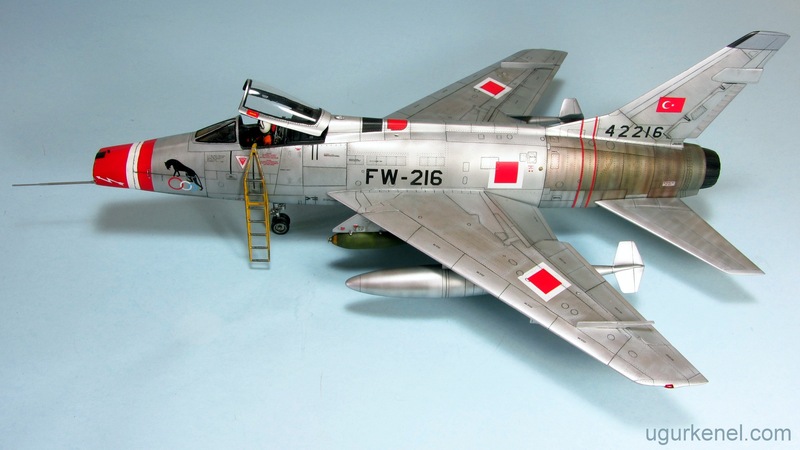 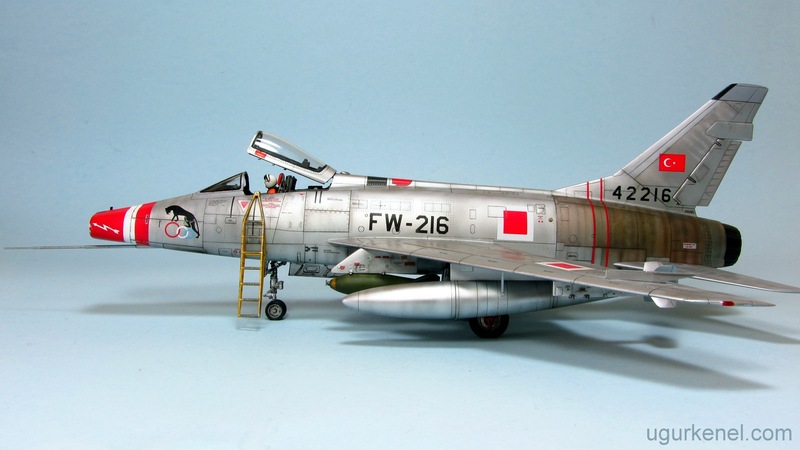 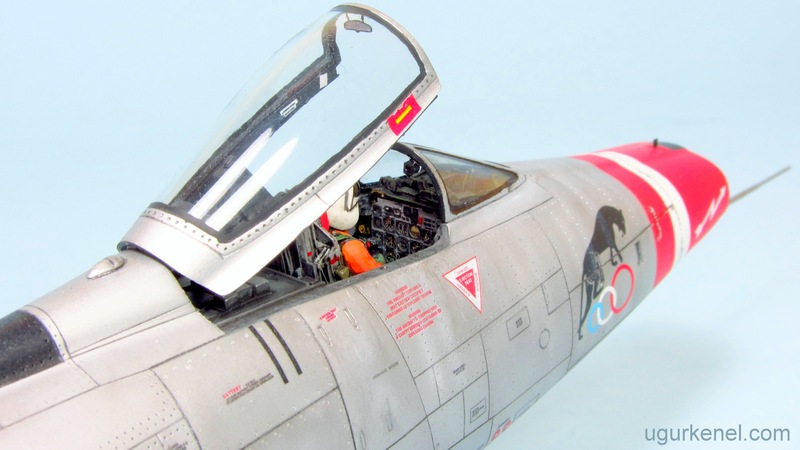 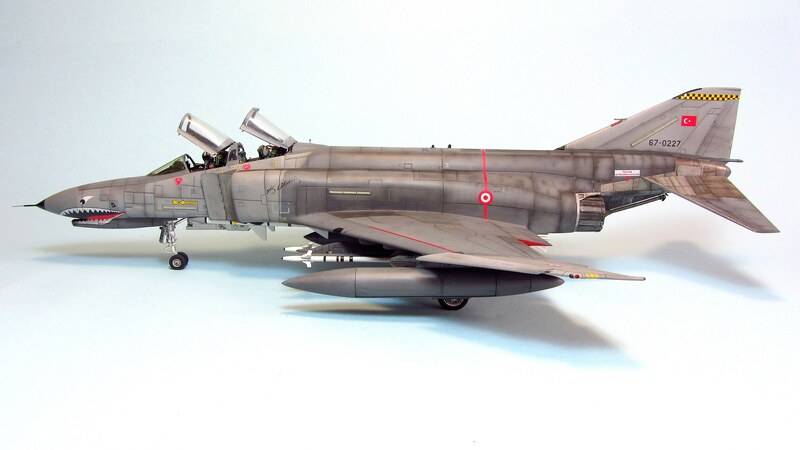 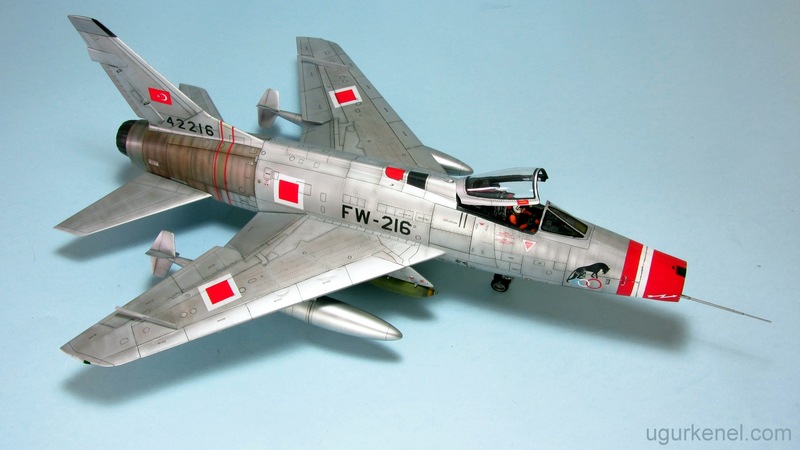 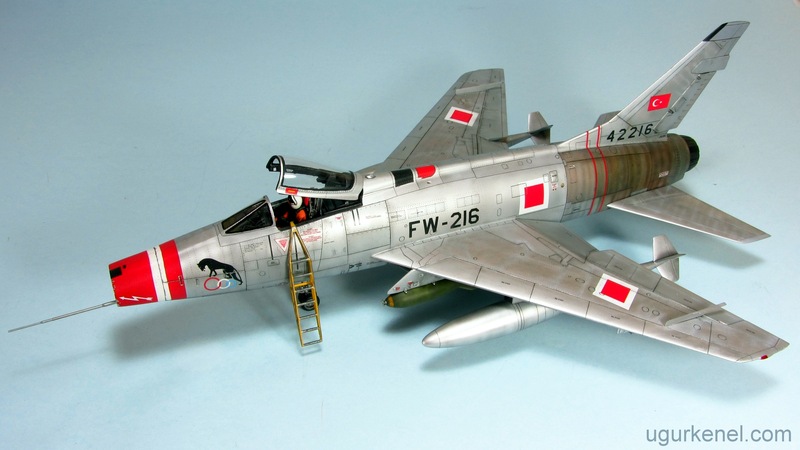 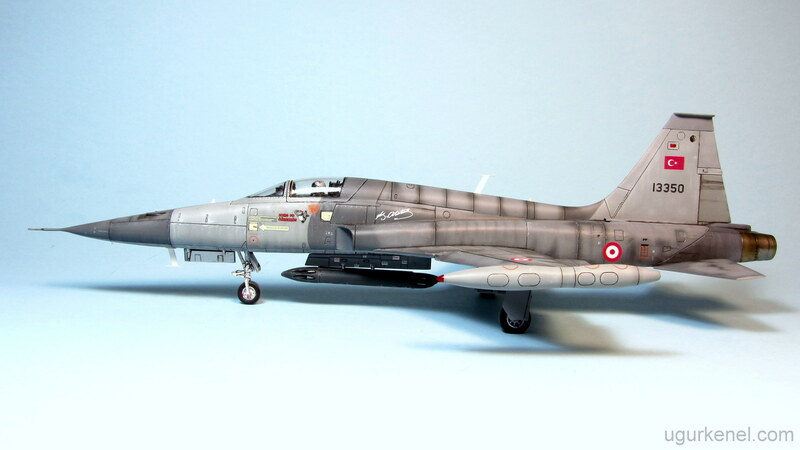 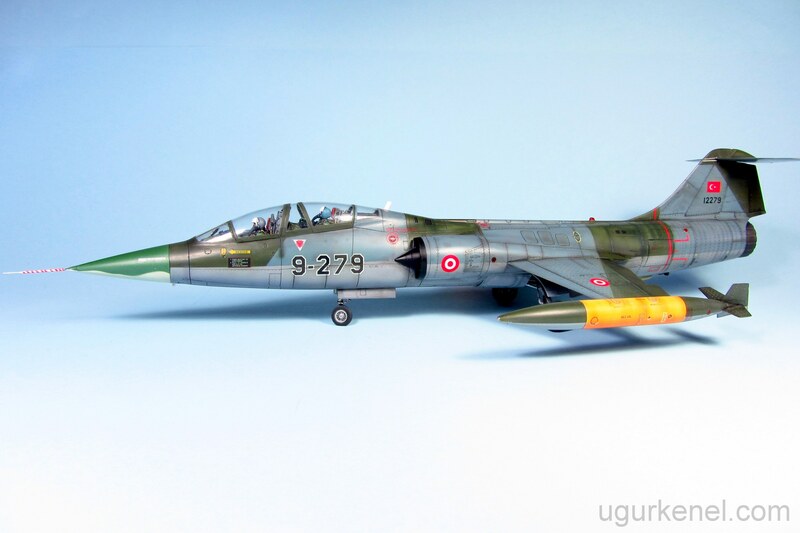 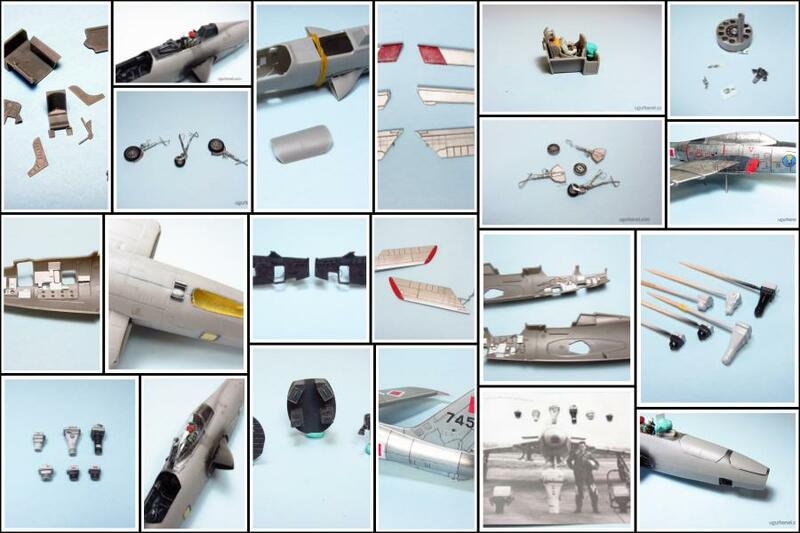 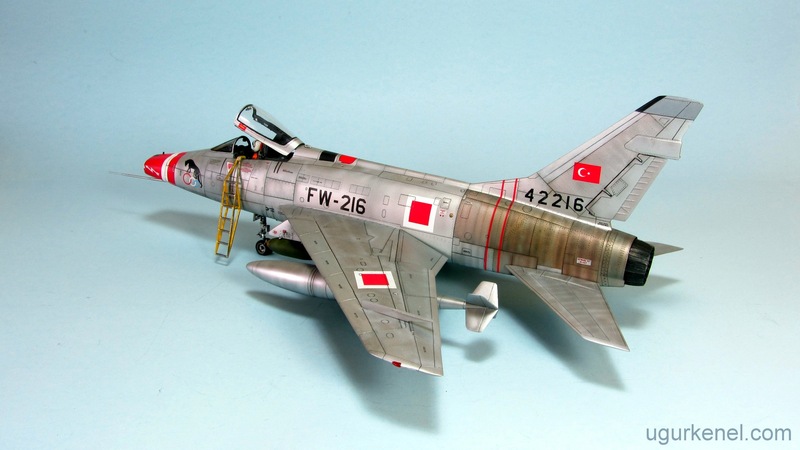 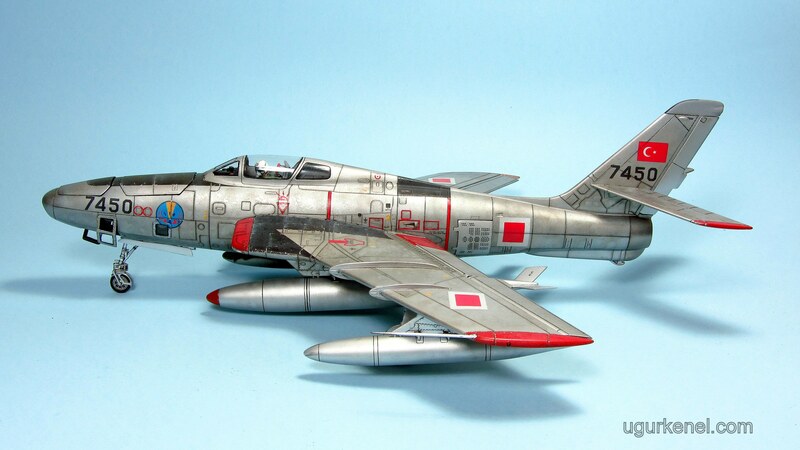 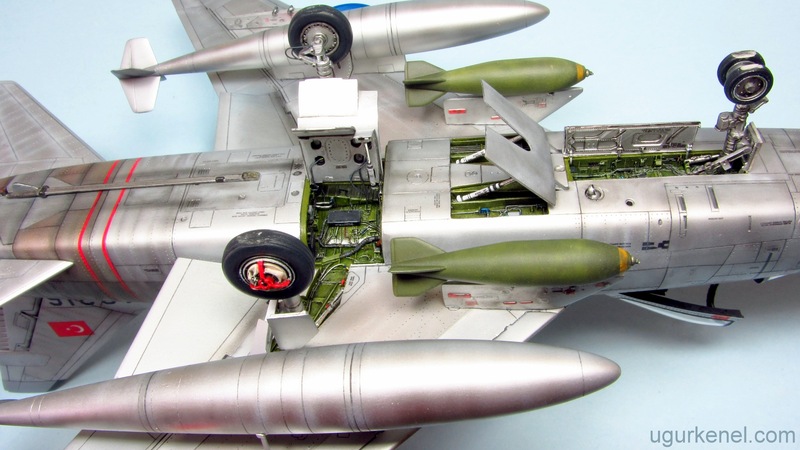 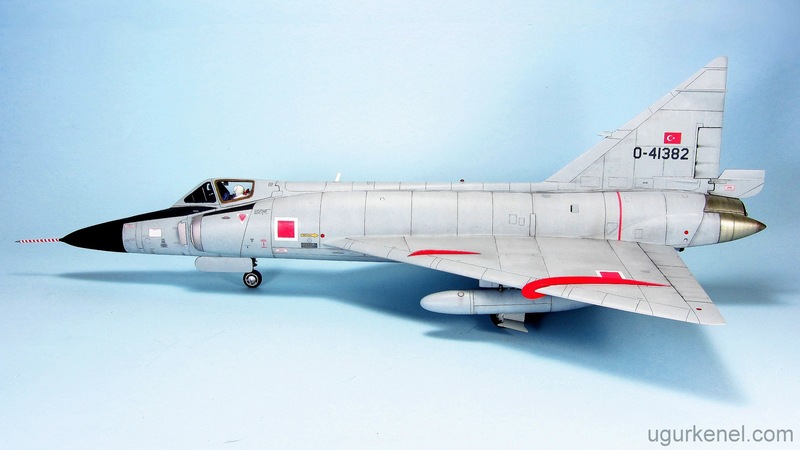 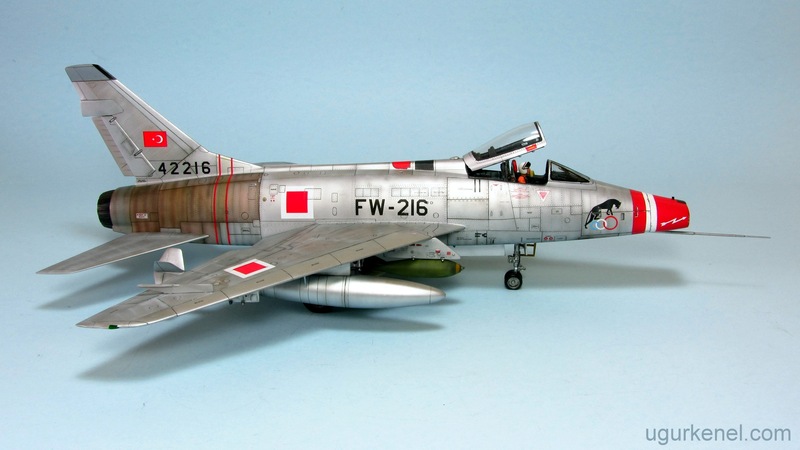 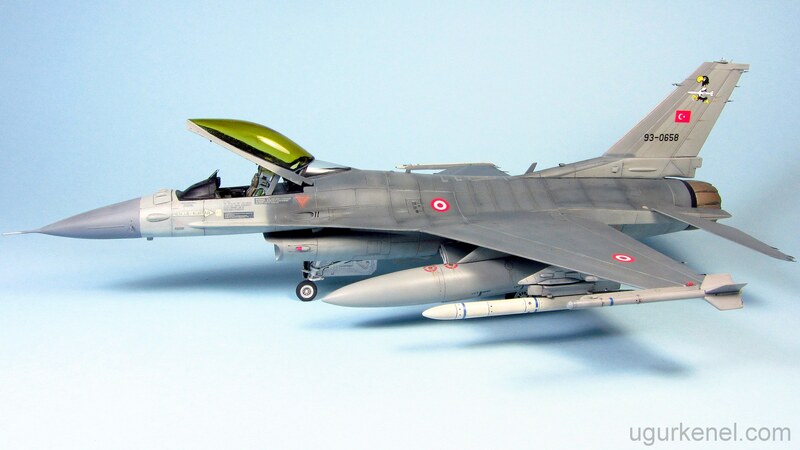 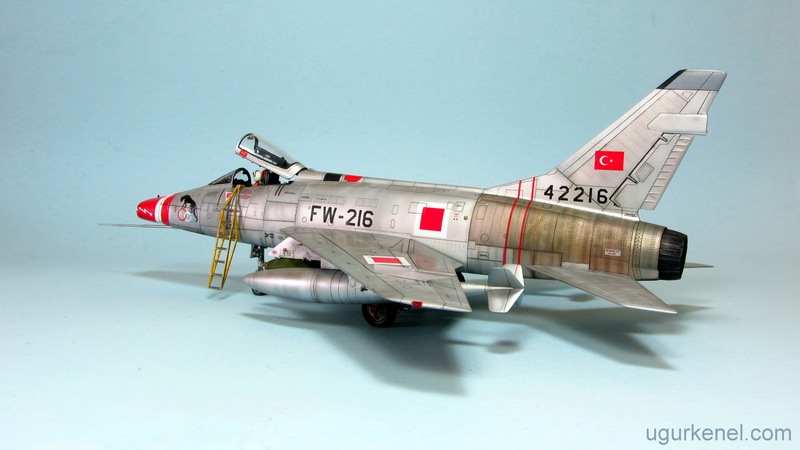 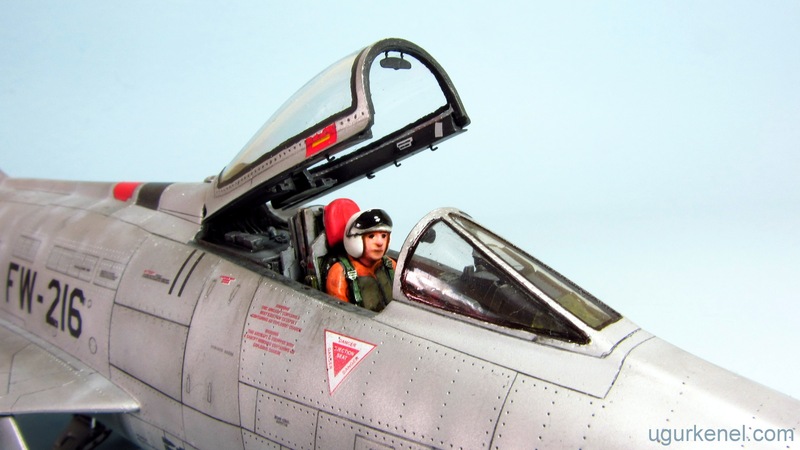 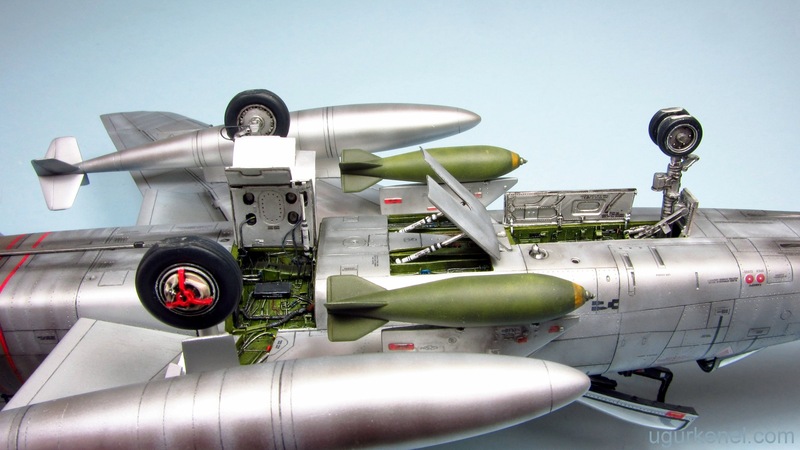 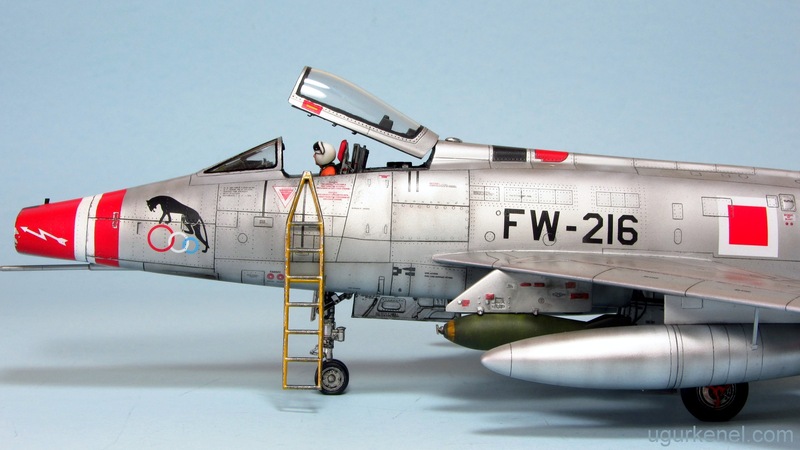 Trumpeter 1/48 scale, box number 02822, F-100D Thunderbirds kit is converted to Turkish Air Force F-100D Super Sabre. 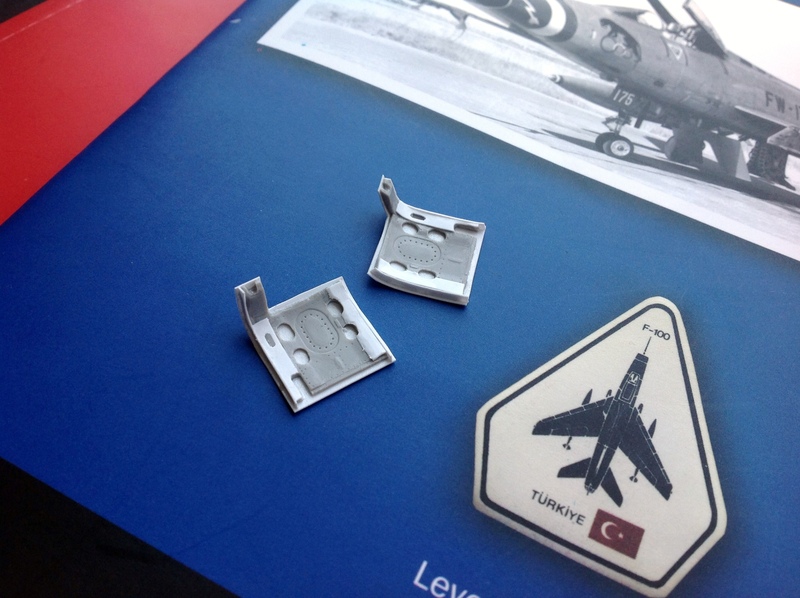 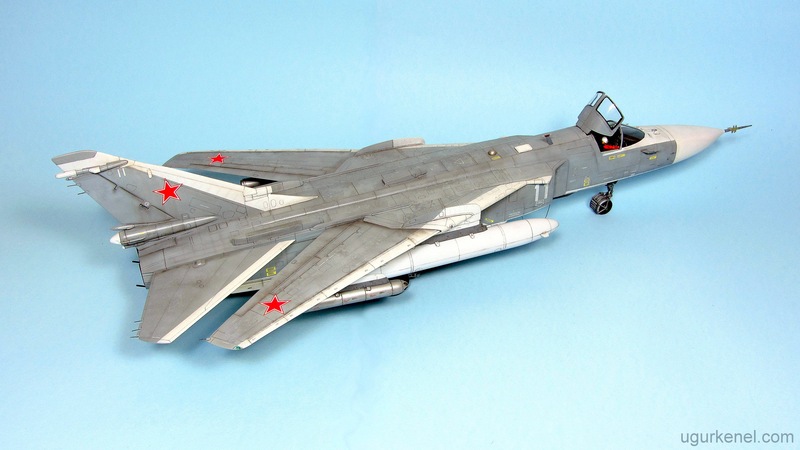 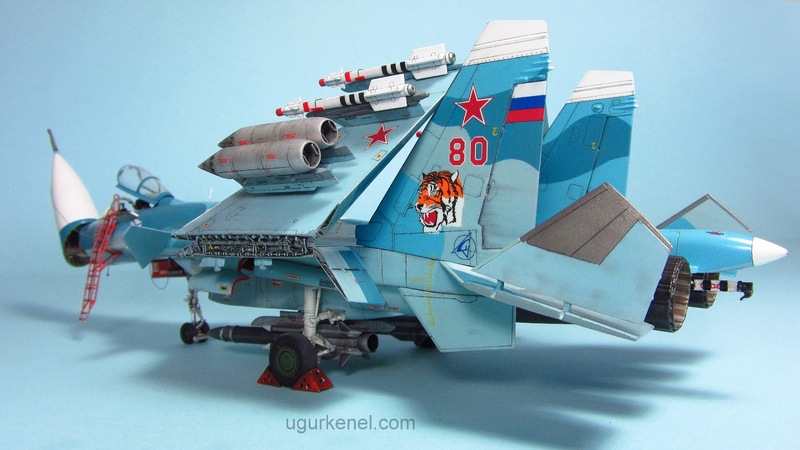 Kit has totally engraved panel lines and rivets but they are very weak. 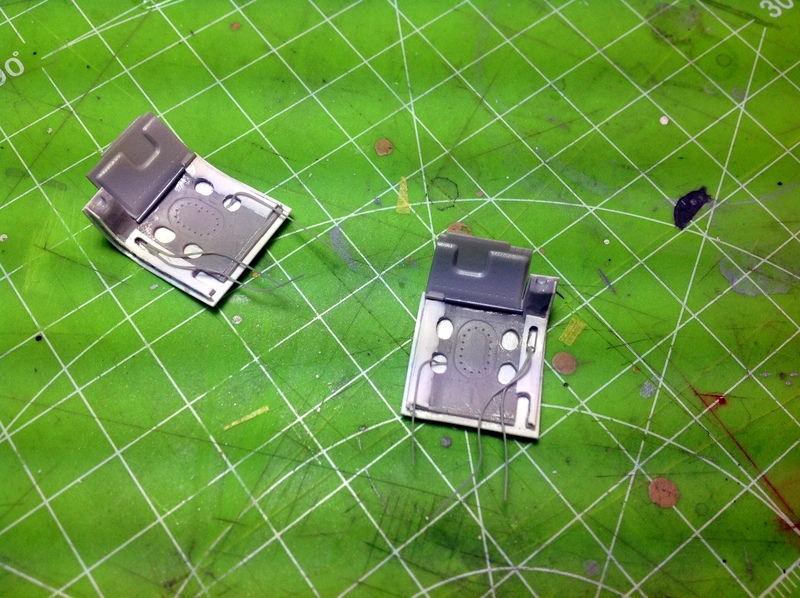 Fortunately kits plastic is soft so i re-scribed and re-rivet all detail easily. 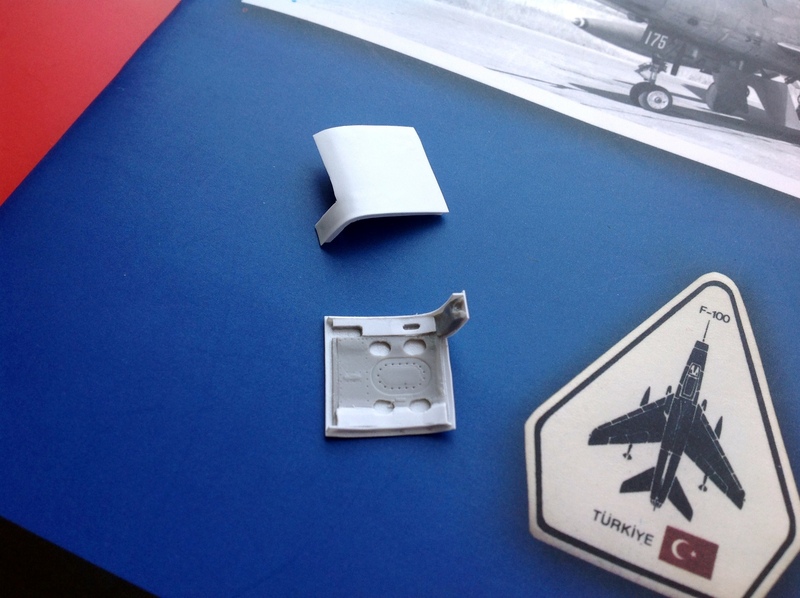 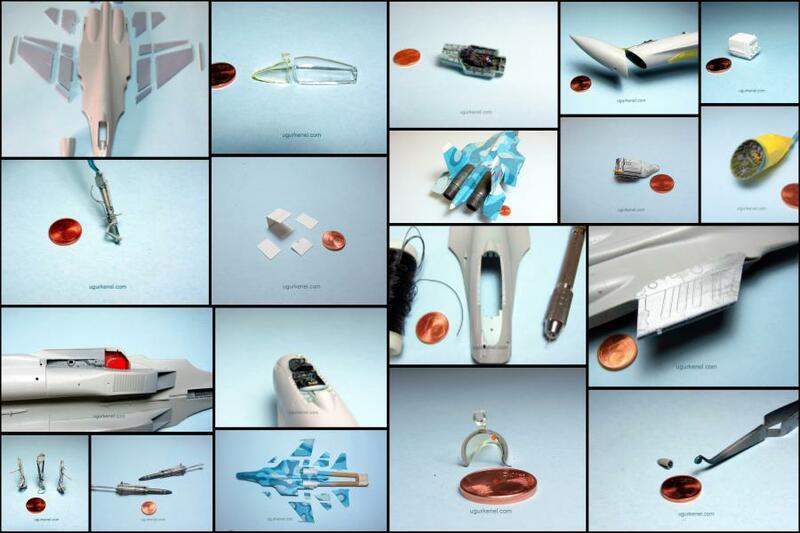 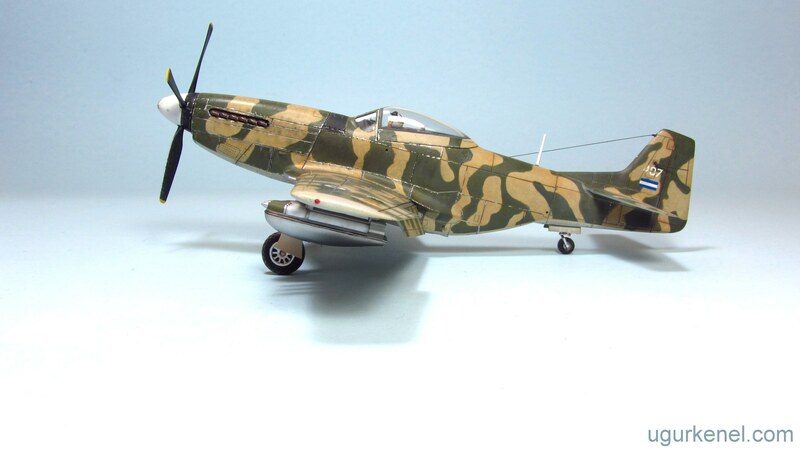 Movable surfaces like rudder, flaps/slats can be build active position. 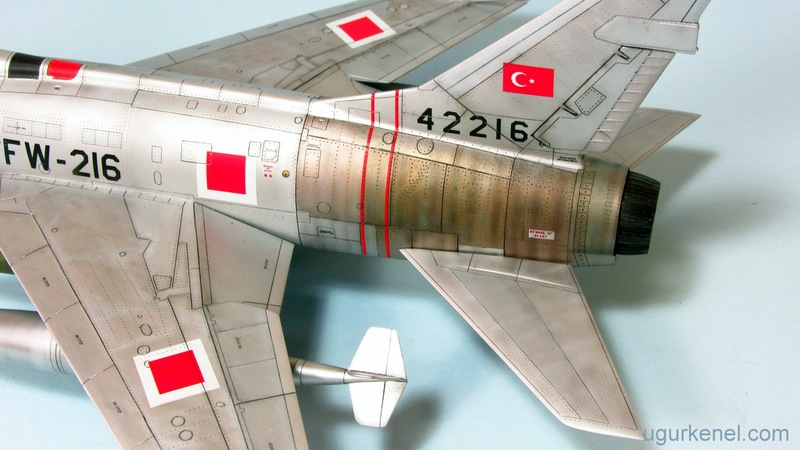 I prefer closed slats instead of open because lack of detail. 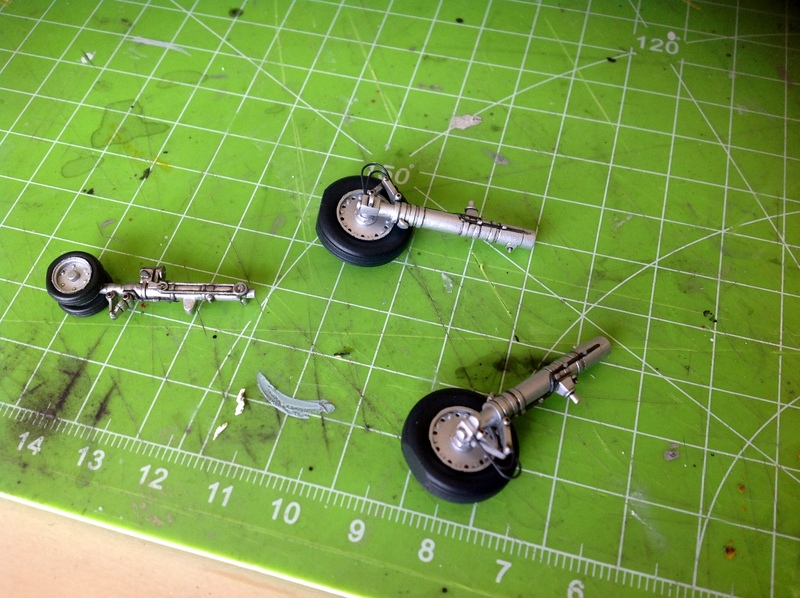 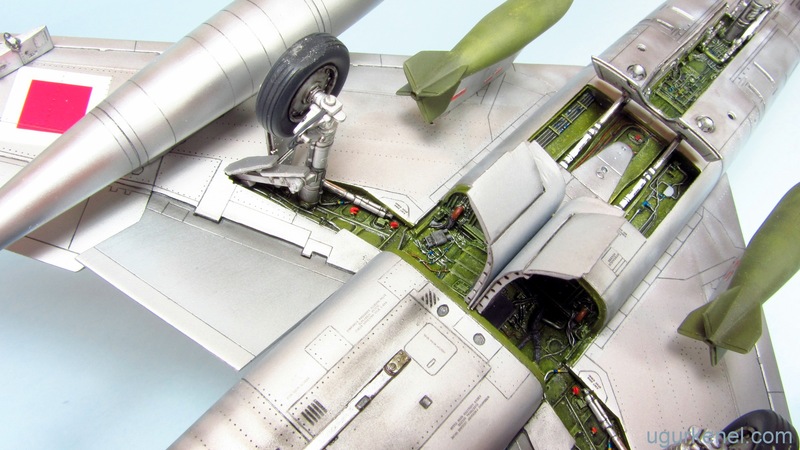 Landing gear struts was detailed with some wire and streched sprue. 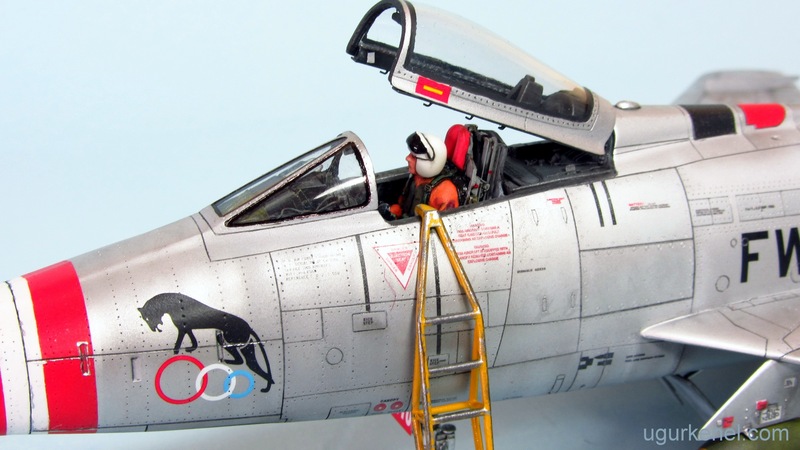 No canopy detail coming with kit. 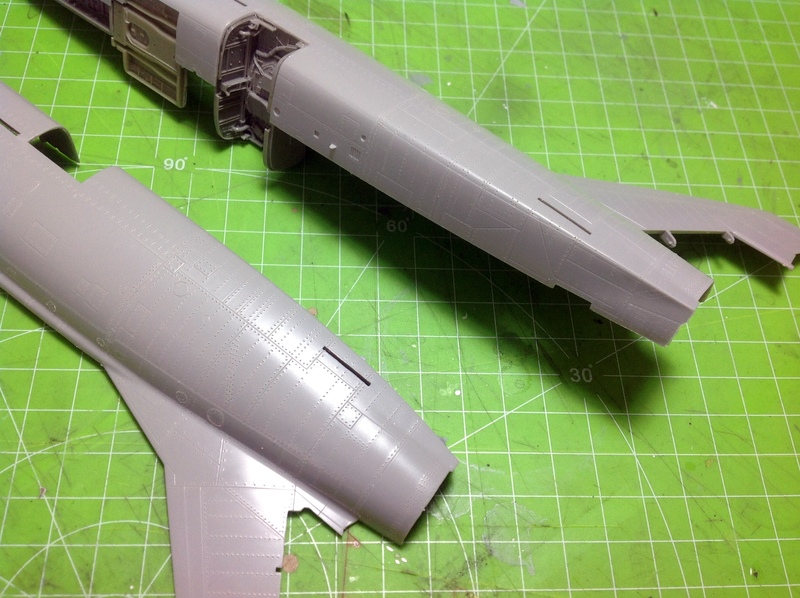 I added some Evergreen plastic . 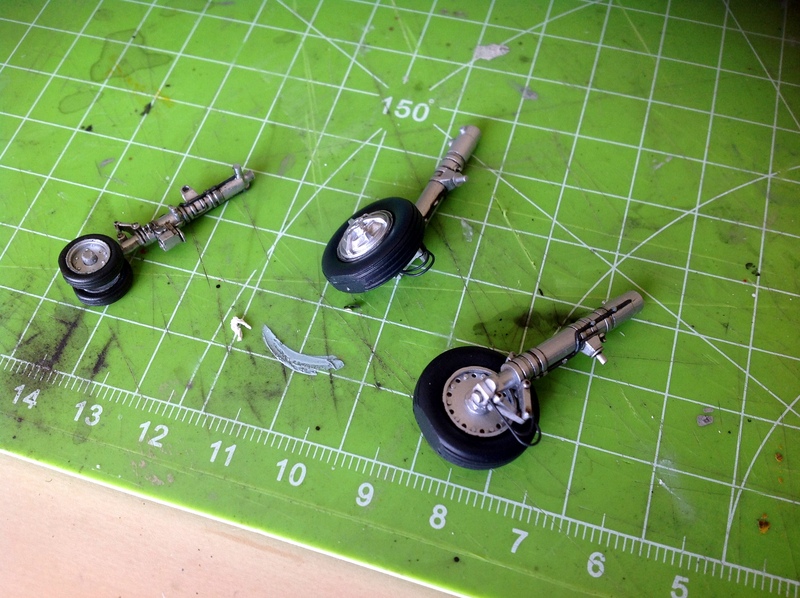 Landing gear bay doors re-builded to make more accurate. 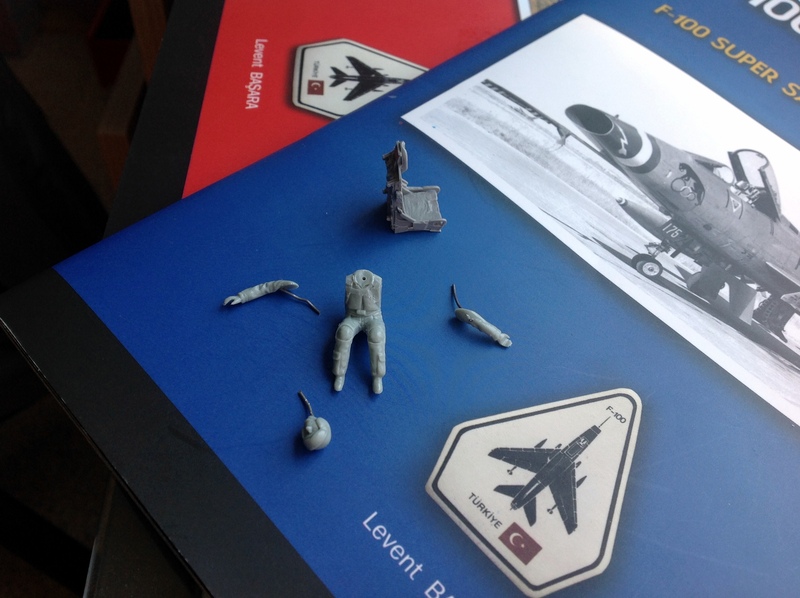 I used some part of kit, Evergreen plastic and sprue. 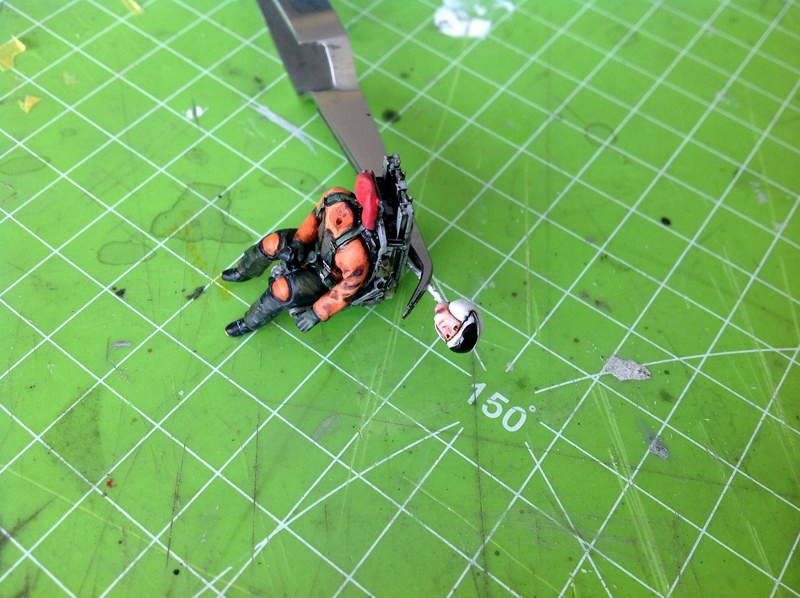 Pilots body and head are from another kit. 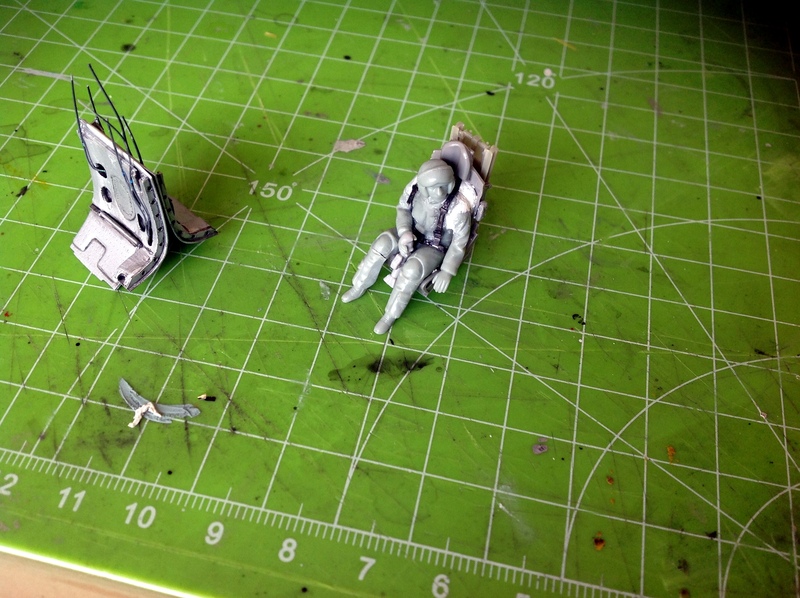 Arms are spare resin arms, parachute is shaped epoxy putty. 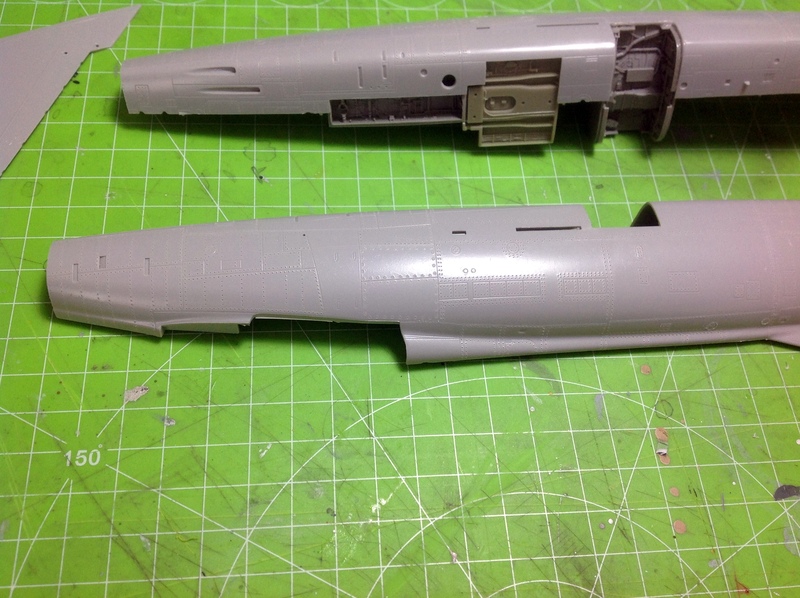 Seat is resin.